2017 not the best year, but not the worst year either. It was a year of identifying the changes I need to achieve future goals. Change takes huge amount of time, research and dedicated work to make it happen. I am so glad I can move on to implementing the change hopefully in 2018 and see some positive results. First thing I am doing is setting goals, not resolutions. When you set resolutions often it results in depressing failures. But working towards goals pushes us to achieve and this can lead to fabulous new adventures. My first goal of my writing career is to find an outstanding children’s literary agent. I truly believe after 10 years of being in this business and published by independent publishers, winning awards, great reviews, and emails from fans, that my books would be best sellers if I was contracted with a children’s publisher. Sadly the majority of children publishers do not accept unsolicited submissions. So you must have a literary agent. I currently have 5 finished magical realism adventures, that ignites children ages 7-12 imaginations as they fly on the back of Matthias the dragon. They meet and learn that preconceived notions of creatures and people are not what they seem. Most folks are interesting and enjoy adventures too. Adults that have read my stories have told me they are taken back to their childhood and are reminded of the imaginary adventures they thought of when they were young. Pure pleasure. The adventures are currently magical realism illustrated chapter books, which could be made into graphic novels for children. I add some Icelandic folklore and cleverly hidden life learning messages as children learn about the Icelandic hidden people. 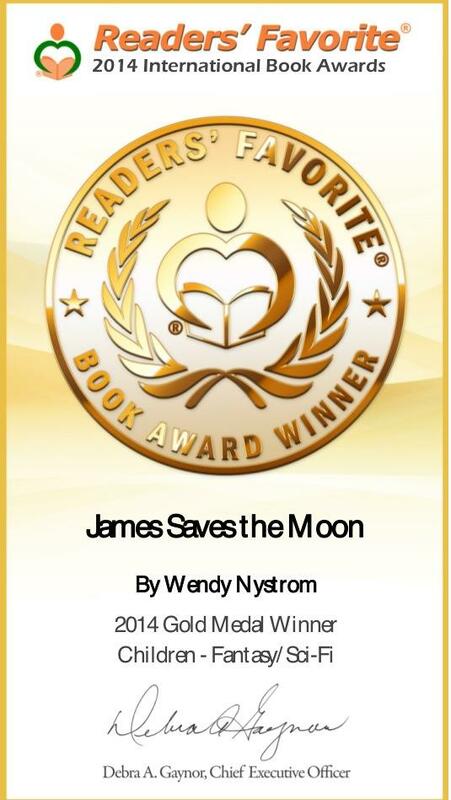 Book 1: James Saves the Moon– James, a young boy, sees the moon sitting on the mountain in Iceland. He decides he must touch the moon. Along the way, he meets Syvok, who calls on his friend Matthias a dragon to fly them to the top of the mountain. The moon is stuck, and the three must work together to release it, without ending up in space themselves. Book 2: Helga Returns– James adventure begins with a footprint. He once again calls out to his Icelandic magical friends, Syvok and Mattias to discover what it means. He will find Helga the troll who left the footprint. James follows Helga to Yamas, the troll village. Will they be left on a glacier or when the earth tremors will they save the Guardian Troll from danger? Will Syvok and Matthias reach James in time to save him? Book 3: Tomfoolery and 13 Yule Lads of Iceland– 26 days of Yuletide adventures. Matthias the dragon knocks on James window and is whisked away to meet the Icelandic 13 Santas. Christmas Cat gets James in serious trouble and he must go home. Tomfoolery happens as the Yule Lads visit James every evening 13 days before Christmas. One yule lad must be saved when he falls into a crevice. Fires, dancing, and fireworks to say goodbye to the Icelandic hidden folks at the end of the yuletide season. Book 4: Amongst the Clouds– James and Syvok 4th adventure has a new mystery floating about. Jame is curious to explore the iridescent cloud. All the colors of a rainbow glow, surely there are new adventures as the dragons soar. Come along and meet new friends and old enemies. Dragons, cats, old hag and more. Join the adventures up in the sky and help the wizard find her magical key before old Hag steals the magical travel cloud. Book 5: Sleigh Ride– Santa’s reindeer broke his sleigh! James and Syvok get whisked away to help save the day with Mattias, the dragon. The threes stop at the Yule Lads home to deliver their sleigh to the North Pole. Along the way they are delayed by a polar bear, searching for her cub, who is floating on a block of ice in the arctic ocean. They must help, but will this delay Santa Claus? Book 6: Magic Carousel: This book is in the editing stage. James and his family are planning a trip back home to Minnesota. James is once again whisked away to Helga’s cave. He is given a mission to find a magic carousel at the zoo and see if a mermaid and ogre who went missing a long time ago and turned to stone are on the carousel. Syvok the Icelandic elf/fairy travels with James to Minnesota. They have many comical adventures while vacationing and find the carousel. With the help of all his Icelandic friends, sisters, and carousel caretaker, they work together to bring the mermaid back home. But what about the ogre? How long can they all keep the travel tunnel open? I am also working on a novel called the New Moon Brethren. This story is magical realism set in Portland, OR. The new moon brethren is a secret society with regional headquarters that were set up on mother earth to take out the dark one regime so that all of mother earth creatures can live out in the open again. It opens with Blaze the dragon waiting for her team to assemble. Their mission to bring a wolf changeling and her young daughter in, to be protected. The mission does not go as planned. Blaze and her old troman friend lose their mates but save young Isabelle, who may one day become an important leader at the New Moon Brethren. The dark one Delray, who was created, 1000 years ago by mistake due to a poor decision of his dragon mother, wants to bring Isabelle into his regime. She holds the DNA to create the next clan that can control earth. The novel is about halfway done. I have been told by many that my writing is original and outstanding. I am a talented storyteller and looking forward to working with someone who can move my writing career forward. I am easy to work with, open to ideas and love learning new things. I know a little about a lot of things.